This heavy duty TCBS sprayer is our most popular sprayer because of its great features at an unbeatable price. Built for use with harsh chemicals, the sprayer features Viton parts throughout and can easily handle solvents as well as water-based chemicals. 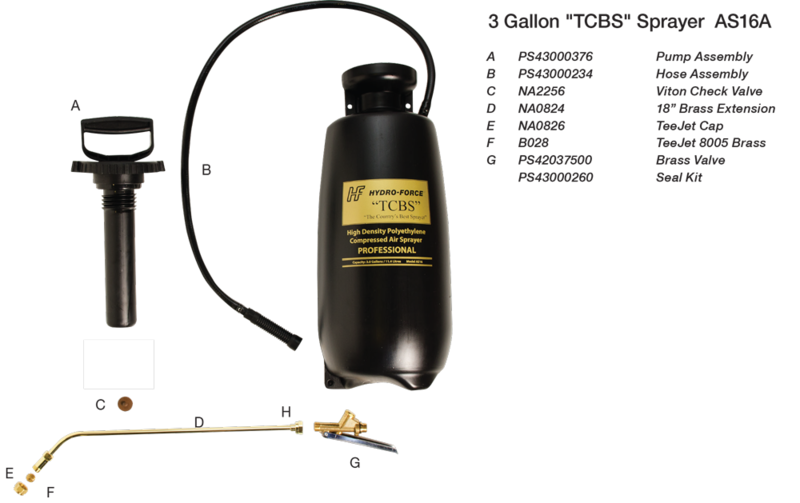 The TCBS has an 18 brass extension, 40 braided chemical hose, brass spray tip, metal pump rod and internal pressure relief valve, funnel top for easy filling, and an all-brass gun that puts other sprayers to shame. Fully rebuildable pump assembly and valve.